Jeffry A. Timmons, a professor of entrepreneurship at Babson College, died April 8 at his winter home in Bray's Island Plantation, S.C. He was 66 and lived in Greenfield, N.H., and previously in Harvard, Mass. Dr. Timmons was a pioneer in the development of entrepreneurship education and research. His dissertation, written while a student at Harvard Business School in 1971, was thought to be the first to use the word "entrepreneurial" in its title, Babson officials said. That dissertation became the basis for six articles in the Harvard Business Review. Dr. Timmons believed that the entrepreneurial process was not just about creating new companies, capital, and jobs, but also about fostering "an ingenious human spirit and improving humankind," he wrote in his 1989 book, "The Entrepreneurial Mind." "We are in the midst of a silent revolution, a triumph of the creative and entrepreneurial spirit of humankind throughout the world," his book continued. "I believe its impact on the 21st century will be equal or exceed that of the Industrial Revolution on the 19th and 20th." He earned his bachelor's degree from Colgate University, and an MBA and doctorate from Harvard Business School. Dr. Timmons taught at Northeastern University, where he created the Executive MBA program and led it from 1976 to 1981. 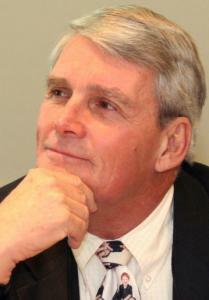 He joined the Babson faculty in 1982, and from 1989 to 1995 taught simultaneously there and at Harvard Business School. He then taught full time at Babson and was named the first Franklin W. Olin Distinguished Professor of Entrepreneurship. "Jeffry Timmons was passionate about his work, generous about sharing his insights and knowledge, and indispensable in building a global entrepreneurial community," said Babson's president, Brian Barefoot. He had earned a reputation for practicing what he taught: For nearly 40 years he worked with a number of corporations in roles of investor, director, or adviser. Dr. Timmons wrote more than 20 books, including the prominent textbook "New Venture Creation." He published more than 100 articles and papers in publications including Harvard Business Review and the Journal of Business Venturing. In 2004, he was named the Entrepreneurship Educator of the Year by the US Association for Small Business and Entrepreneurship. Dr. Timmons leaves his wife of 42 years, Sara (Reid); two daughters, Jesseca of Oklahoma City and Samantha Read-Smith of Portland, Maine; a brother, Thomas of Boston; and four grandsons.